Other Unique Unmanned Aircraft Developments - AeroVironment, Inc. 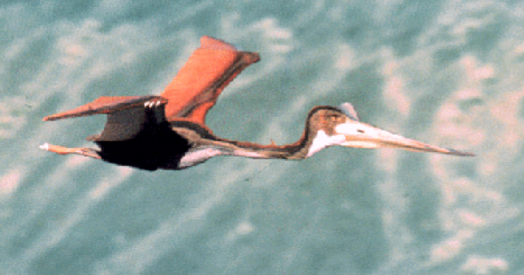 The Quetzalcoatlus northropi replica, named simply QN, is half-scale wing-flapping flying machine. With a wingspan of 18 feet and weighing 40 lbs when completed, it was the largest known flying ornithopter. The QN replica incorporates a custom-built flight control system/autopilot which processes pilot commands and sensor inputs, implements several feedback loops, and delivers command signals to the various servo-actuators. Now on display at the Smithsonian’s National Air and Space Museum, the QN has a high degree of fidelity in its external cosmetics, which are intended to closely match the features of the original animal of 140 million years ago. The program was sponsored by Johnson Wax, and many QN flight sequences were filmed and feature in the IMAX motion picture, “On the Wing,” which depicts the evolution of natural flight in relation to the development of civilization’s flying machines. 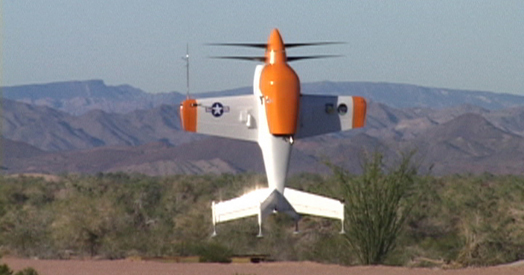 AeroVironment was contracted by the Air Force Research Laboratory (AFRL) to develop a Vertical Take-Off and Landing (VTOL) aircraft that can quickly deliver or retrieve cargo. SkyTote is designed with a payload capacity of 50lb, a cruise endurance of 1.5 hours, and can travel at a speed of up to 200kts, can hover at altitudes up to 2,500 feet and cruise at 10,000 feet. This unique UAS is configured to utilize helicopter control in hover mode and conventional aircraft control while in forward flight. The Solar Challenger holds the World’s record for the highest, farthest, and longest solar-powered manned flight. 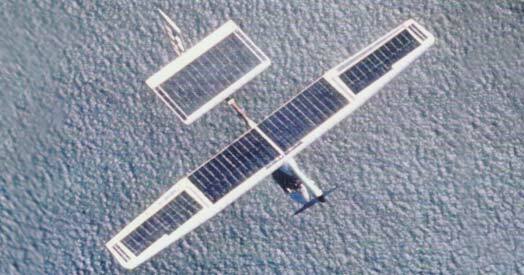 On July 7, 1981, the Solar Challenger completed the 163 mile trek from Corneille-en-Verin Airport, north of Paris, France to Manston Royal Air Force Base in Manston, United Kingdom, staying aloft 5 hours and 23 minutes, with pilot Stephen Ptacek at the controls. Built as a demonstrator for solar power and advanced composite structural materials. The complete airframe including the solar propulsion system weighed only 205 pounds, and was designed for a 9-g ultimate load factor. 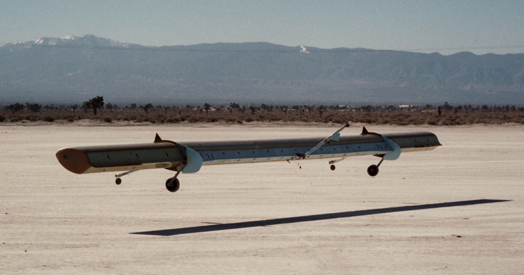 IIn 1990 the Broomstick vehicle concept was developed in response to a need for a long endurance aircraft with unique characteristics. It used a 50% thick airfoil in an unswept flying wing configuration with no dihedral and with all systems internal to the wing. The boundary layer control (BLC) needed by the thick section is integrated with a jet flap propulsion and aerodynamic control system. 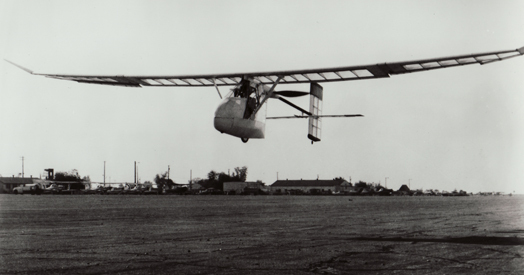 These are the first known flights of such an aircraft. The Bionic Bat was developed in 1983 to explore new human-powered flight technologies and to compete in the speed competition developed by the Man-Powered-Aircraft-Group of the RAeS and Henry Kremer. The Bionic Bat won two of the Kremer World Speed prizes by completing the designated 1500-meter (0.93 mile) triangular speed course in less than three minutes. Unlike previous human-powered flight competitions, energy generated and stored by the pilot during the ten minutes immediately preceding the flight could be used to assist the pilot. The Bionic Bat utilized aerodynamic and structural technology previously developed for the Gossamer Condor, Albatross, Penguin and Solar Challenger aircraft.